Both contains flour and eggs and… but wait… let’s not get technical, it’s all about their choices and our pallets ladies and gentlemen. 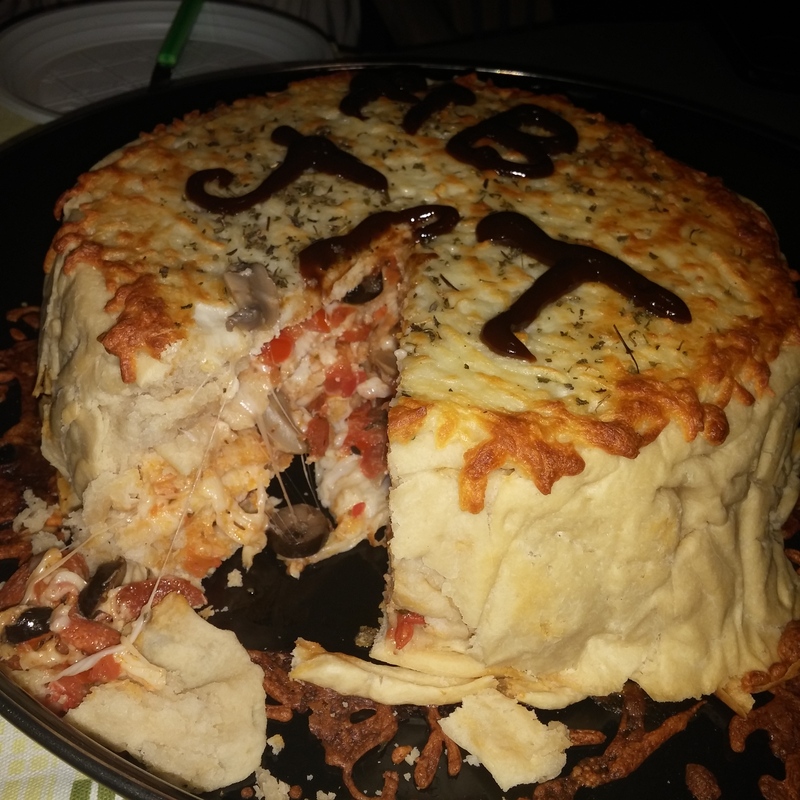 To my pleasant surprise the wedding maker “Whisk” did a fine job with its matching of those two characters: The pizza cake has all the right proportions and size to be legitimately called cake, not to mention the right decoration. 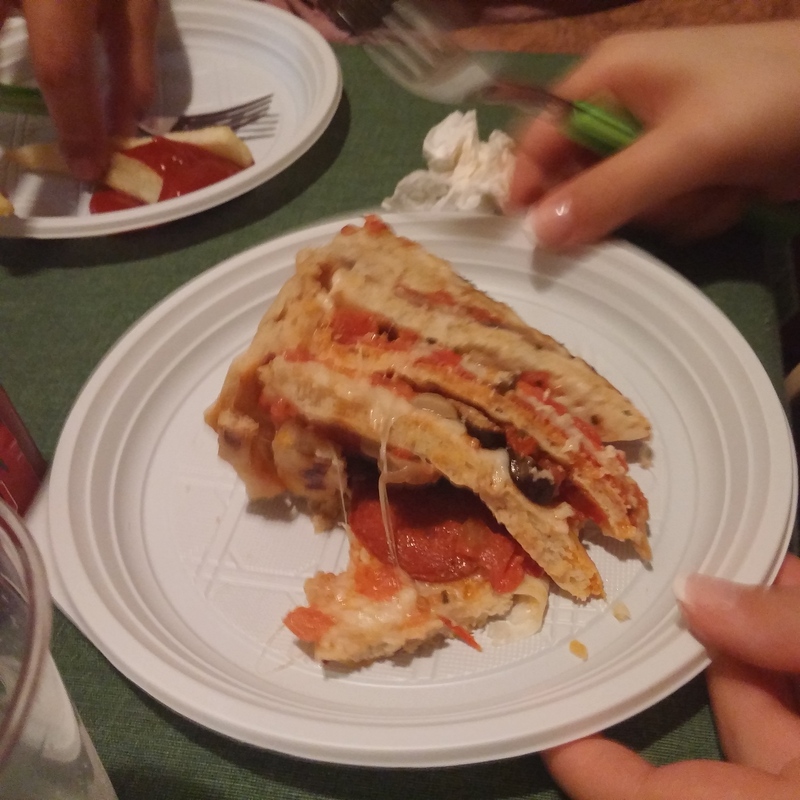 When you cut it, you can distinctively see the layers inside, except that when you look closer, you will see a rainbow of toppings, including fresh mushroom, olives, pepperoni, mozzarella cheese all bathed in what smelled like a beautifully made tomato sauce with oregano. It’s confusing at first when you have a part of it in your plate. 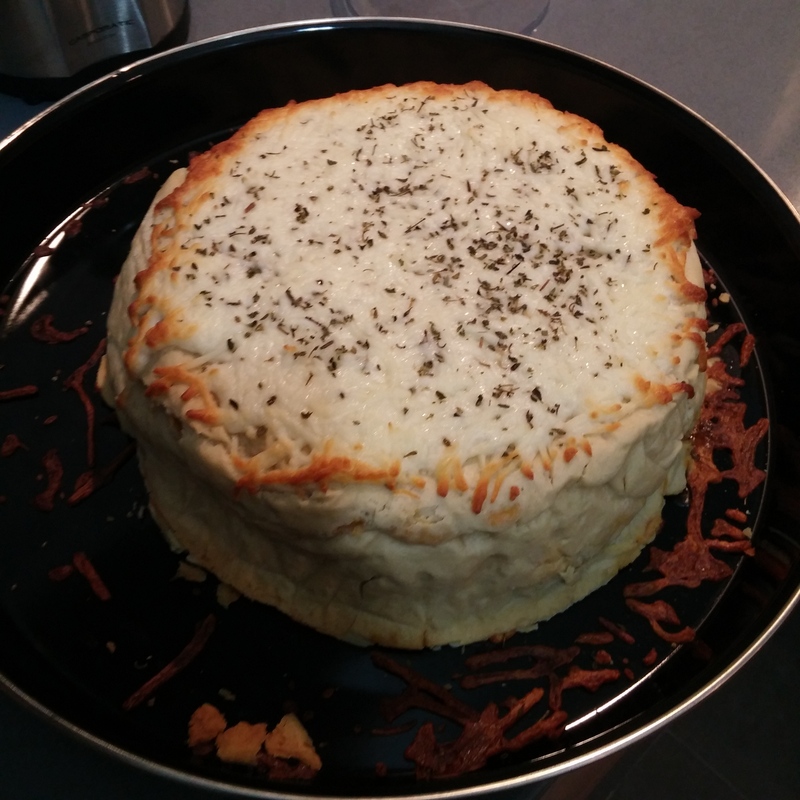 Your brain sees a cake and expects sweetness, however you receive a whole rainbow of salty, cheesy, meaty tastes instead. That very same conflict between your brains expectations and what your feeling melting in your mouth makes the whole experience unique. 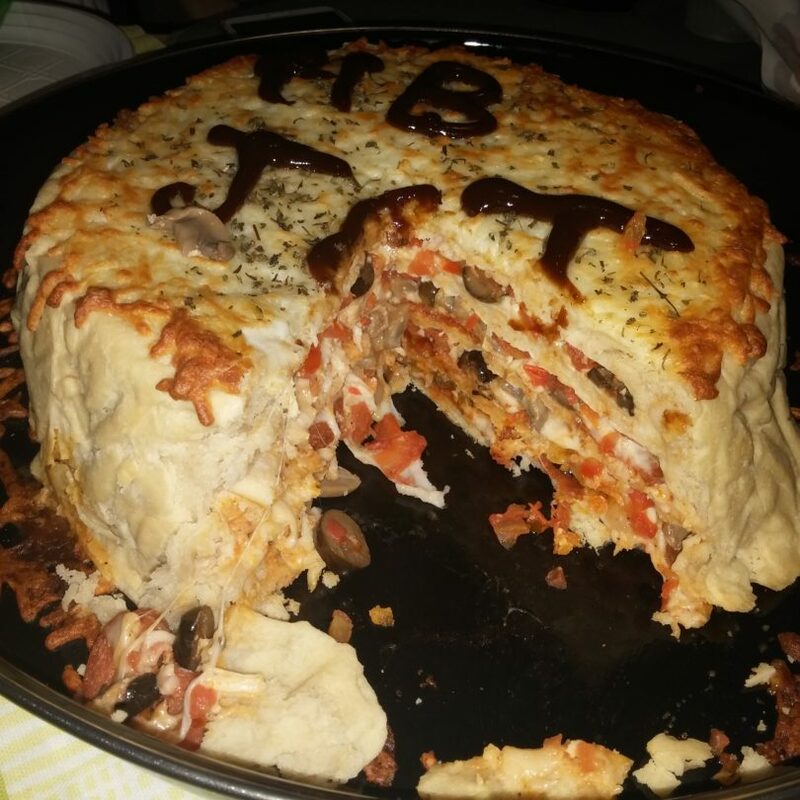 The pizza in itself is excellent, but no wait it’s a cake… en-robed with crunchy dough covered with melted cheese, for a second you forget that… your just biting into a 5 layered pizza cake and the dough in itself didn’t even feel overwhelming. Good marriage, good ceremony, unforgettable taste, I sincerely hope they will soon spawn new cakes with different toppings. MARWAM, Have you a restaurant?, if yes, tell me where, thanks a lot. Hello George, no i don’t, i just consult to make new restaurants and writes reviews about food quality, safety and hygiene in restaurants that i visit or get invited to.